We tend to recognize great souls, only after they have shed their body. It could be because of the convenience that such recognition, then, wouldn’t force us to question our own morality and position as humans. Catherine Irene Puzey is one such soul that deserves the respect and the recognition for the love it spread and for its attempt to make the world better. 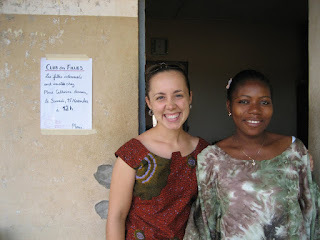 In July, 2007 ‘Kate’, as she was lovingly known, started her journey as a Peace Corp to Benin, in West Africa. It was about a month after her 23rd birthday. Kate recorded this part of her life through a blog, as if she knew it would virtually be her last journey. Ms Puzey was an American and no celebrity, but today when we speak of ‘global villages’, ‘borderless world’ and ‘one nation’ concepts, we should start recognizing and admiring such global citizens. People like Kate choose the difficult and risky path, over shoving the guilt by joining candle light marches, offering lip-services and going for special screenings and concerts. Kate as a Peace Corp was posted in Benin, in West Africa. 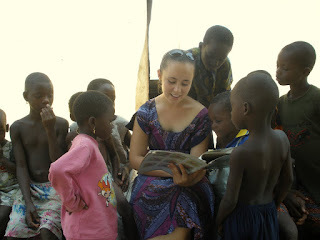 She worked as an English teacher, at a school in the village of Badjoude. She loved the place and its people. The locals adored her kind and compassionate persona. She had ‘families’ at the places she worked.” I was nervous but excited to meet my new family. Within moments my three sisters had found me. There was Elodie (20) and the twins Aubine and Aubinette (14). Apparently Maman (Mother) was at a party but she'd be home a little later”,is how she described the family she stayed with. But this beautiful life had an ugly and abrupt end with her murder on 12th March, 2009. The murderer is allegedly the one against whom Kate had reported to the authorities for crimes against minor girls. These girls were Kate’s students. It is sad and angering to know that such a benevolent charming woman was killed in a place, her generous self chose to go and serve. She had passionately bloged every eventful moment during her stay in Benin. Kate was born to Harry and Lois Puzey, in Augsburg, Germany on June 19, 1984.Harry and Lois worked there as teachers. The family moved to Okinawa when she was seven. She graduated from Kadena High School in 2002 with top honors. 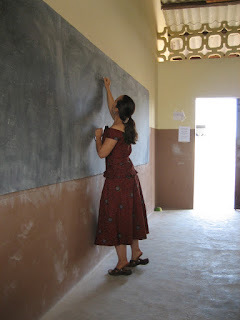 After graduating from College of William and Mary in 2006, she joined the Peace Corps in July, 2007.Peace Corps, an US agency ,established in 1961,sends volunteers to third world countries ,to work with governments, schools, non-profit organizations and entrepreneurs in the areas of education, business ,agriculture and the environment. Kate’s friends knew her as open-minded and compassionate women who could light up the room with her child-like smile. The magic of her smile is well captured in her photographs. The albums she uploaded on the web, gives a peek into her final years and a glimpse of the wonderful lady that even her acquaintances would now miss dearly. Kate always stood for the underdogs and the defenseless and for which she eventually had to lose her life. Kate’s parents remember their daughter as an extraordinary person, who embodied the tenacious spirit of so many Peace Corps volunteers that they had met- people who are willing to not just talk about change, but actively take steps to make it happen. There are not many youngsters in India who have the privilege and the support Kate had, but even those that have, rarely come forward to do what she did. There are many people like Kate, who have been working in remote corners of the world that are rarely covered by the television camera, with the genuine desire to do their part. They live and die in the hope that things would change and that tomorrow would be better. Kate leaves behind a life that should inspire many around the world to step forward and become the change. Reading her blog and looking at her pictures on the Picassa web album, one could only wish she had lived longer and that one had known her. Thank you Madame Catherine! May your soul rest in peace!